XLRI has successfully placed its high-caliber students from its Business Management and Human Resource Management programs. Participation by a large number of reputed organizations year-after-year for recruitment bears testimony to the reputation of XLRI as a trusted management school. XLRI’s unrivalled reputation for its Human Resources Program was clearly visible as the HR students secured excellent job offers across sectors viz. Consulting, FMCG, General Management and other sectors in large numbers. 102 students were offered PPOs (Pre-Placement Offers) from their summer internships, of which 84 PPOs were accepted, students from XLRI proving their mettle in the industry yet again. The median salary offered to the batch is INR 18.00 lakhs per annum while the average is INR 18.5 lakhs per annum both an increase over last year. XLRI- Xavier School of Management has placed its current outgoing batch of 2014-16, the largest batch to ever sit for final placements in the history of XLRI. The Final Recruitment process saw participation from 132 recruiters, inclusive of 36 first time recruiters and 386 offers were made for a batch of 361 students. In continuation with the trend from the recently concluded Summer Internship Placements the CRP was marked by a good presence of recruiters from the financial sector domain. Recruiters from the BFSI space included Citibank, Development Bank of Singapore, Goldman Sachs, ICICI Bank, Standard Chartered and Yes Bank. ICICI Bank was the largest recruiter with 21 offers total. Kotak Mahindra and Karvy visited for the first time and offered Wealth Management and other companies also visited campus offering PE, VC and IB roles. The FMCGs have been the forte of XLRI over the years. This year was no different and XLRI has again re-established its strength as an FMCG destination. Asian Paints, Colgate Palmolive, GSK CH, Heinz, HCCB, ITC, Kellogg’s, Mondelez, Nestle, PepsiCo, Reckitt Benckiser, Unilever among others offered roles in Sales and Marketing and HR functions. ITC was the largest recruiter in the FMCG space. The media sector too made its presence felt with Star TV rolling out the second highest number of offers at 12, and opening up Sports Marketing role. Airtel, Ericsson, Vodafone and Telenor represented the Communications and the Networking space while Samsung recruited from the Consumer Durables sector here at XLRI. Future Group, Lodha Group recruited students from the HR function. Ola Cabs, Uber, Tata Steel, Reliance Industries and Zensar offered operations related roles including supply chain and procurement. General Management once again was one of the preferred sectors on campus with major industry players like Aditya Birla Group, Mahindra & Mahindra, Reliance Industries, RPG and TAS offering a large number of roles in this area. The consulting domain saw the active participation of industry majors such as Accenture Strategy, Capgemini Consulting, Cognizant Business Consulting, Deloitte, EY, Everest Group, Gallup, KPMG, McKinsey and Company, Peoples Business Group, Price Waterhouse Coopers, The Boston Consulting Group, and Vector Consulting and Zensar. International roles were also offered to students. Technology and ecommerce were the other highlights with some of the key recruiters being Call Health, Flipkart, Microsoft, Ola Cabs, Paytm, Samsung, Tech Mahindra and Wipro who offered roles in program management, sales & marketing, HR and operations. 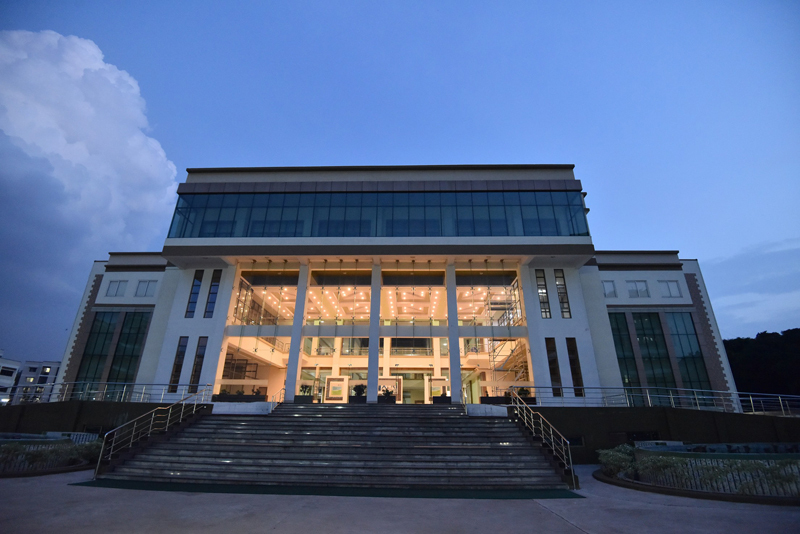 XLRI – Xavier School of Management (formerly known as XLRI – Xavier Labor Relations Institute) is a premier, private management institute in India founded in 1949 by Fr Quinn Enright, S.J. in the Steel city of Jamshedpur, Jharkhand. Over the last seven decades, XLRI has helped shape responsible business leaders who serve organizations of repute across the globe. 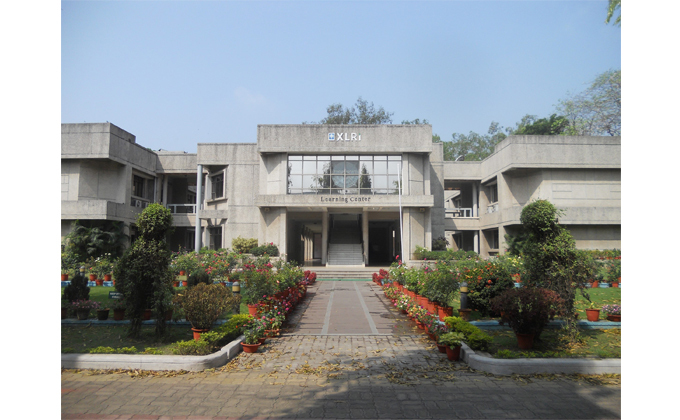 As an institution, XLRI continually strives to contribute its mite to the professional growth and management of innumerable organizations that serve the public - especially organized industry sectors, labor welfare, service agencies engaged in rural development, education, health and other public systems.